Following an earlier report on the launch of the iPhone 6 and iOS 8, 9to5Mac has released a second report with details on OS X Yosemite and Apple’s fall Mac plans. 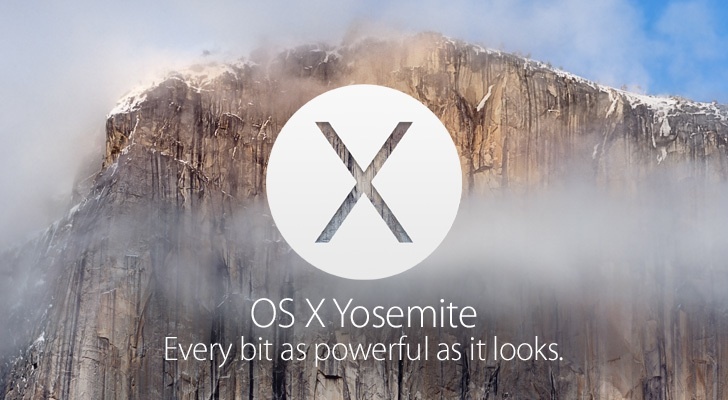 As has been previously mentioned, OS X Yosemite will launch in October, following iOS 8’s September release alongside the iPhone 6.The final Yosemite Developer Preview is expected to be seeded to developers on September 29, with a final golden master build coming around October 10, which suggests a late-October public launch date for Yosemite. October will also see the potential introduction of the iWatch, as has been widely rumored, and Apple may also be planning to unveil several new products designed to promote Yosemite, including a smaller 12-inch MacBook with a high-resolution display and a new desktop computer, which may be an iMac or a standalone monitor with a 4K resolution screen. Apple believes that this new Retina MacBook will be a significant step forward in the laptop industry, and it is currently unclear if Apple will label this machine as a smaller MacBook Pro, a new MacBook Air, or as an entirely new line. While it is possible Apple will market the aforementioned 4K desktop as a “Retina” machine, the technology for true pixel-doubling of the current 27-inch iMac and Thunderbolt Display’s 2560 x 1440 resolution is not ready for market. 9to5Mac’s sources indicate the 12-inch Retina MacBook and the iMac are on pace to ship in late in the third quarter or in the fourth quarter, but could be pushed back to early 2015, which is in line with recent rumors about the 12-inch Retina MacBook. A report has suggested the notebook’s launch will be pushed back due to continued Broadwell delays. Rumors have also long focused on a possible Retina iMac and/or a 4K display, and back in June, hints of a Retina iMac were found in the OS X Yosemite beta. Less has been said about a potential 4K display in recent months, but an update to Apple’s Thunderbolt Display is long overdue. Along with new Macs, Yosemite’s introduction may also include updates to both iMovie and Final Cut Pro to improve support for video captured with 4K cameras.